The NEHGS library is one block from Copley Square. There a many restaurants there and on a nice day people sit around the square eating ther lunches, visiting, and taking in the nice weather. On Friday, Trinity Church hosts a free organ recital. I bought a CD of Christmas music after the concert. On the morning of Saturday, June 1 on my way to the library I walked through Copley Square. 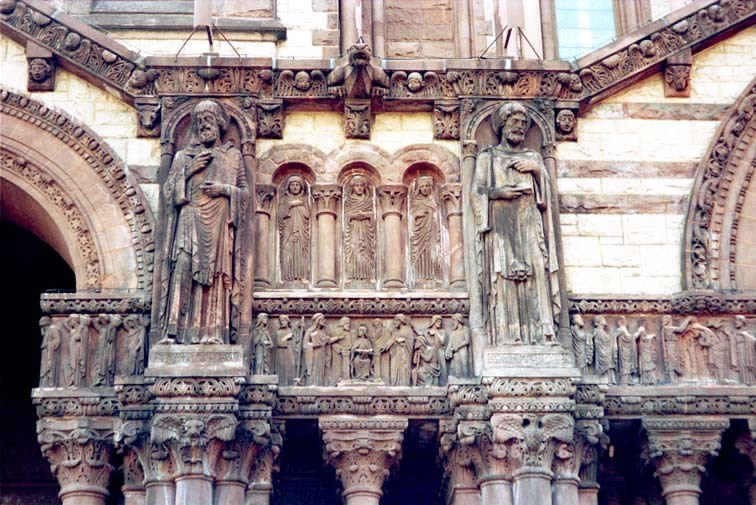 This detail is from the facade of Trinity Church. 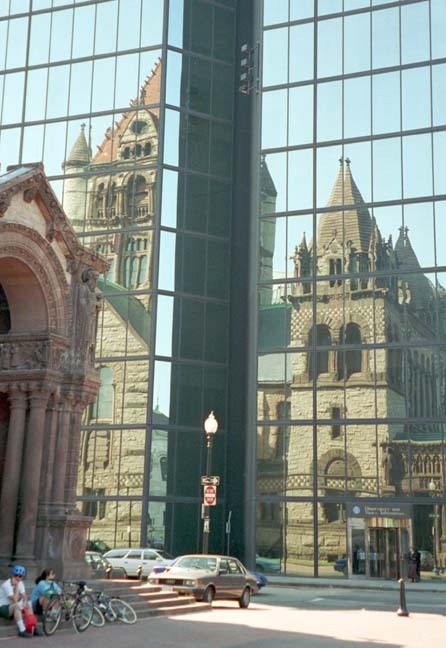 The John Hancock Headquarters in Copley Square is a glass monolith. Here Trinity Church is reflected in the John Hancock. This statue of Phillips Brooks is on the north of Trinity Church. 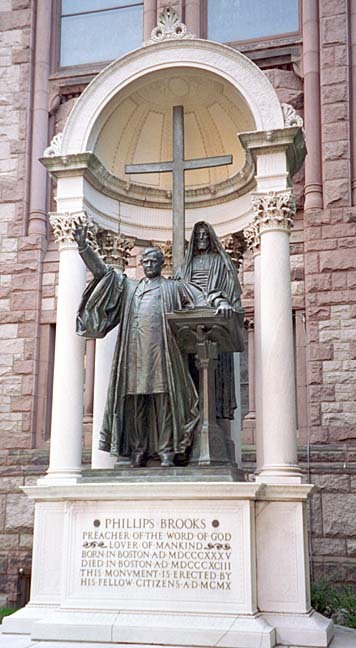 He was pastor when the congregation moved to Copley Square in the 19th century. He authored the song O Little Town Of Bethlehem .